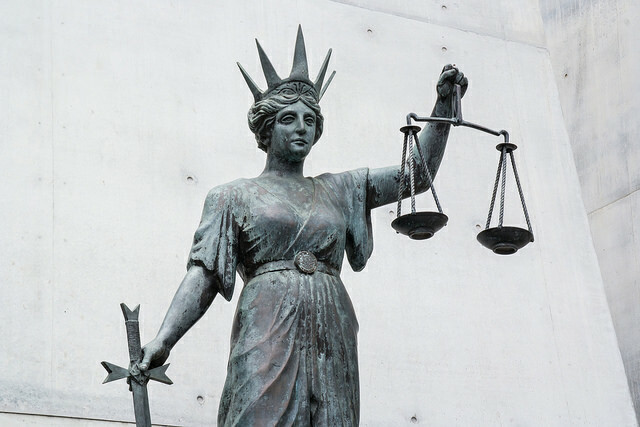 Security vs civil liberties: does the balance model do us justice? In light of the Government’s recent announcement of new measures for countering terrorism, there has been much discussion about the apparent ‘trade-off’ between security and civil liberties . These are typically characterised as located at opposite ends of a spectrum. That ‘trade-off’—normally expressed as security versus civil liberties—has been consistently reinforced since 9/11 in the debate over controversial counter-terrorism measures such as control orders, stop-and-search and surveillance powers. But this model can be highly inadequate for analysing counter-terrorism measures. It leads to the establishment of rigid political positions which tend to overlook external perspectives—especially those of the public. In fact, the trade-off model detracts from the kind of serious debate that counter-terrorism legislation requires. Constructing security and civil liberties as opposite ends of a linear spectrum, means that an increase in one necessarily brings about a decrease in the other. The concepts of ‘trade-off’ and ‘balance’ have contributed to the widespread assumption that the relationship between the two can be considered as a ‘zero-sum’, in which increases and decreases of security are precisely equated with parallel increases and decreases in our civil liberties . Despite its popularity, that balance model misunderstands the complexity of the relationship between security and civil liberties. In the first place, the model fails to account for the difference between risk and threat. Threats, by their nature, are multifarious and multitudinous; but the probability of threats taking place—their risk—involves an element of uncertainty. That failure presents substantial problems for the trade-off model. Wolfendale puts it provocatively, asking ‘whether the existence of a possible threat—the likelihood of which is unclear—justifies the actual infringement of civil liberties’ . Second is the model’s inherent assumption that controversial new measures, which allegedly constrain the rights of the individual, provide absolutely successful security . The situation is different in practice: such measures increase our ability to prevent attacks, but they don’t eradicate the threat. It could, and has, been argued that intrusive measures represent a substantial blow to the message which Australia seeks to disseminate abroad: military interventions in Iraq and Afghanistan have been supported by statements outlining the benefits of liberal democracy as a regime for local populations. The efficacy of that message is diluted when we fail to adhere to the principles which we advocate for others—an argument which terrorist organisations frequently make to gain local and international support. The rationale that underpins these controversial measures is particularly problematic. Such measures are reasonable, the argument goes, because of the severity of the threat and its capacity to disrupt, even damage, the freedoms and opportunities which we enjoy in our liberal democracy. In short, we’re in a state of crisis, which justifies measures widely perceived to constrain our civil liberties. This status, described by one academic as the ‘siege mode’ of democracy , carries with it further claims that lend further weight to the justification. The state of crisis is temporary, we’re told. Controversial measures are for exceptional circumstances and rarely, if ever, deployed, and then only to maintain the security of the state. Indeed, the rhetoric which has permeated the security debate post-9/11, has pivoted on a range of military metaphors, most infamous among them ’the Global War on Terror’, which reinforce the justification for such measures. Seeing this type of militaristic language resurface  is of great concern and could be counterproductive in the long term to solving domestic terrorism issues. is not simply a question of finding the right language to pass on intelligence information about possible attacks. The inherent uncertainty in the information, the ability of the attackers to adjust their behaviour on the basis of what the defenders have revealed about their state of preparedness, and the fact that warnings have political, economic and social effects when no attack materializes, must affect the calculations which lead to warning events. Government communications about the threat to the public always carries a risk of misunderstanding and misinterpretation. Frequently, public speeches and statements by politicians and terrorism experts have created an opaque understanding of the true nature of the threat and the consequent risk posed to the Australian population. When combined with a lack of clarity and detail as to the requirement for particular elements of the counter terrorist legislation being introduced, that leads to public confusion and, ultimately, apathy to terrorism. These measures, it’s argued, are acceptable because of the enormity of the threat to Australian security: where the threat is severe enough to threaten not just the populace, but the very system of liberal democracy, such measures are obviously acceptable. However, the key problem is that the nature of the threat has been poorly communicated to a public which has little involvement in the debate about the more controversial elements of the counter-terrorism legislation. If we’re to produce appropriate legislation—befitting the current terrorist situation—while maintaining key freedoms enjoyed in a liberal democracy, it’s essential that the debate be depoliticised, and that the risk of terrorism rather than the threat of terrorism is clearly, authoritatively and coherently disseminated to a population in order that they can knowledgeably participate in the debate. Tobias Feakin  is a senior analyst at ASPI and director of ASPI’s International Cyber Policy Centre . Image courtesy of Flickr user Rae Allen .